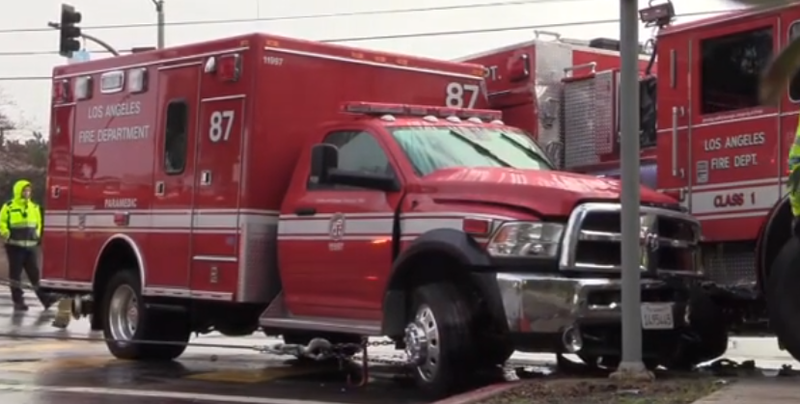 At approximately 6:30am, LAPD and LAFD Heavy Rescue responded to a traffic collision involving a city fire truck and ambulance at the intersection of Superior St and Balboa Blvd. Upon arrival, officials found engine 87 and RA 87 had broadsided one another. Two members were transported in stable condition as a precaution. It’s unclear if they were responding to an emergency at the time of the crash. Police tell us the wet roads likely contributed to the crash. LAPD Valley traffic is handling the investigation.